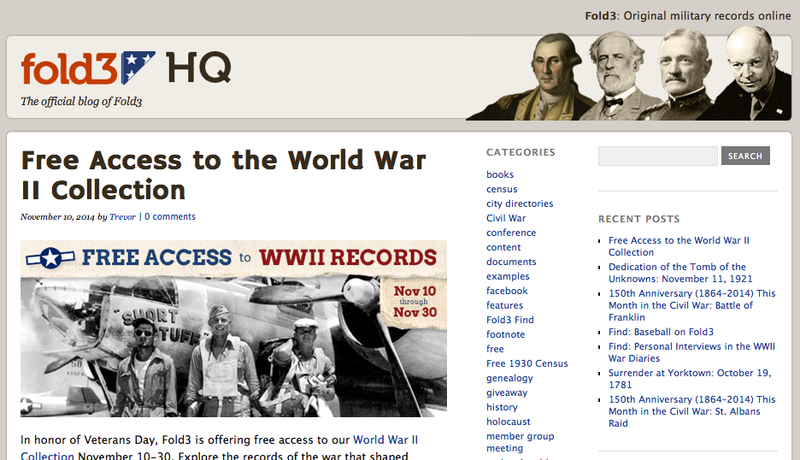 "In honor of Veterans Day, Fold3 is offering free access to their World War II Collection November 10-30. Explore the records of the war that shaped America's "greatest generation" - and look for your family's own WWII heroes along the way. 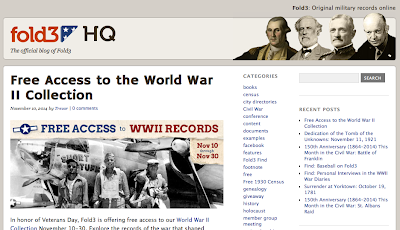 "Whether you're interested in historical aspects of the war or are searching for specific individuals who fought in it, Fold3's WWII Collection likely has what you need. . . . "